Rahul Gandhi is the owner of two commercial spaces in Gurugram, the market value of which is Rs 8,75,70,000. He also has agricultural land worth Rs 1,32,48,284 that he jointly owns with sister Priyanka Gandhi. However, Rahul Gandhi does not own a car. These details were declared by the Congress President in the affidavit filed by him on Thursday while submitting his nomination for the Wayanad Lok Sabha seat. The affidavit also shows that Rahul Gandhi’s assets that were valued at Rs 9.4 crore in 2014 have risen to more than Rs 15.88 crore. He has declared movable assets to the tune of Rs 5,80,58,799 and immovable assets worth Rs 10,08,18,284, taking the total worth of his assets to Rs 15,88,77,083. The affidavit also shows that his total income for the year 2017-18 was Rs 1,11,85,570. Gandhi stated that his source of income was MP’s salary, royalty income, rents, interest from bonds and dividends and capital gain from mutual funds. Rahul Gandhi’s affidavit shows that he has Rs 72,01,904 as loans from various banks and financial institutions, out of which he owes Rs 5,00,000 as personal loan to Sonia Gandhi. Moreover, the Congress leader has Rs 17,93,693 lakh as deposits in various banks and investments worth Rs 5,19,44,682 in bonds, debentures and shares. He has investments worth Rs 39,89,037 in NSS, postal savings, insurance policies and investment in financial instruments in post office or insurance companies. The affidavit shows that Rahul Gandhi also owns 333.300 gm of gold jewellery valued at Rs 2,91,367. The Congress President also declared that he has five cases against him. Out of those, four are defamation cases registered in Mumbai (Maharashtra), Ranchi (Jharkhand), Guwahati (Assam) and Bhiwandi (Maharashtra). The fifth case is a private complaint registered in Delhi’s Patiala House Court by Rajya Sabha MP Subramanian Swamy on conspiracy to criminally misappropriate and cheat the shareholders of Associated Journals. 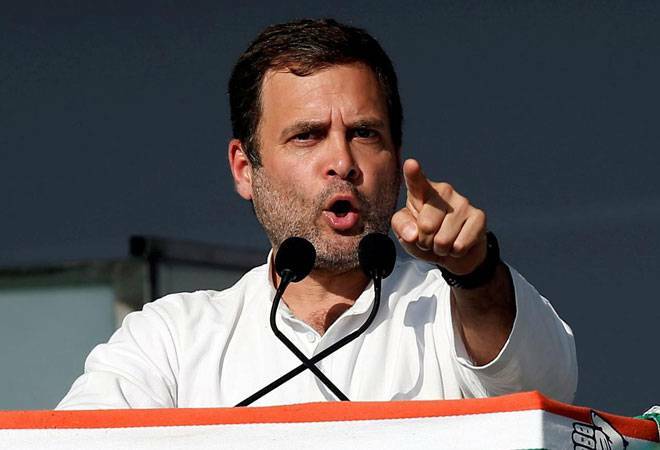 As for the educational qualification, Rahul Gandhi stated that he has a Development Studies MPhil degree from Trinity College, University of Cambridge.